Finding a local mover you can trust is always a challenge. Recommending a mover to a colleague or client is even harder! At Suburban Solutions, we understand how important your reputation is to earning more business. We are here to help you build a better brand by providing 5 star service to your clients and tenants. By recommending us, you are putting your customers in great hands. To make things even better for your customers, we have created a Preferred Mover Program. As part of our preferred mover program all of your customers, clients or tenants are eligible for special discounts and offers. 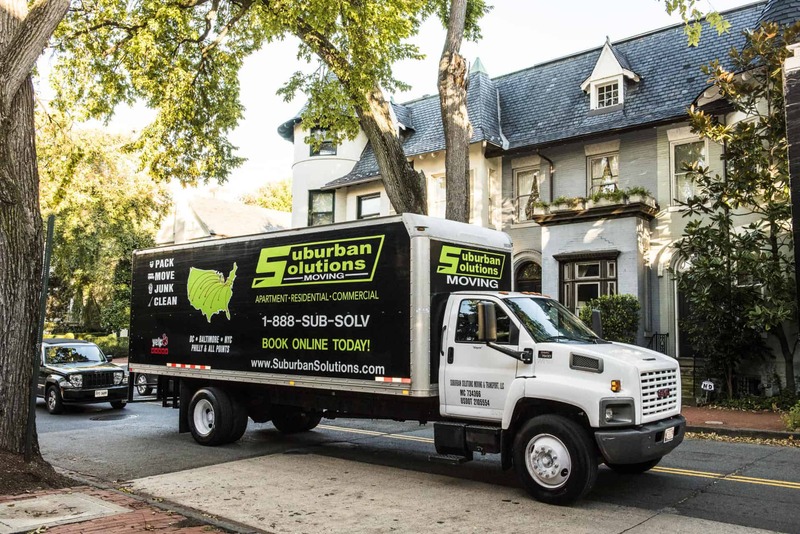 Whether they are moving down the street or across the country, Suburban Solutions guarantees 5-star service. Let us take all the stress out of a move so you can our clients can enjoy the transition to a new home or apartment. To be a part of our Preferred Mover Program, please enter your email address below. See below for some of the discounts we provide. You will also see a handy Moving Guide that you can provide to your clients or tenants. * Customer must mention the discount code “PREFERRED” when requesting a quote or estimate to be eligible. 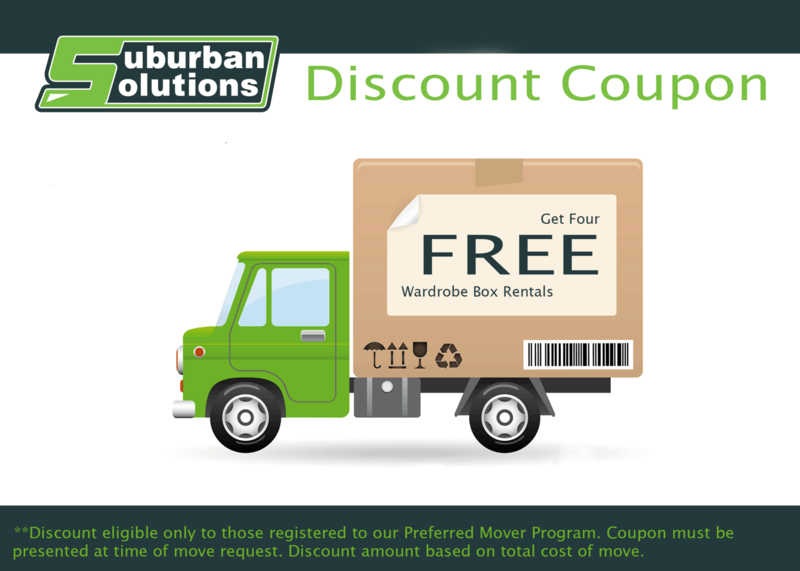 All moving customers will also receive 4 free wardrobe box rentals. Click here to get your coupon. Get up to $200 off total cost of move. Click here to get your coupon. Join our Preferred Mover Program Today!